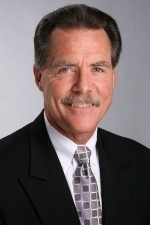 Patrick has over 30 years of experience in helping privately held companies grow and thrive. By providing leadership in finance, operations, and external relationship management, he can provide the maximum planning and infrastructure needed at the right time, enhancing key business drivers such as revenue and margins while still maintaining the entrepreneurial spirit and flexibility that made the business initially successful. Before joining CFO Selections, Patrick worked as a CFO and COO of multi-state and international companies ranging from pure startups to $500M revenue in diverse industries including retail, manufacturing, distribution and service. He has also started his own business, and combines his entrepreneurial and operations experience to bring an owner’s perspective to solving business challenges. 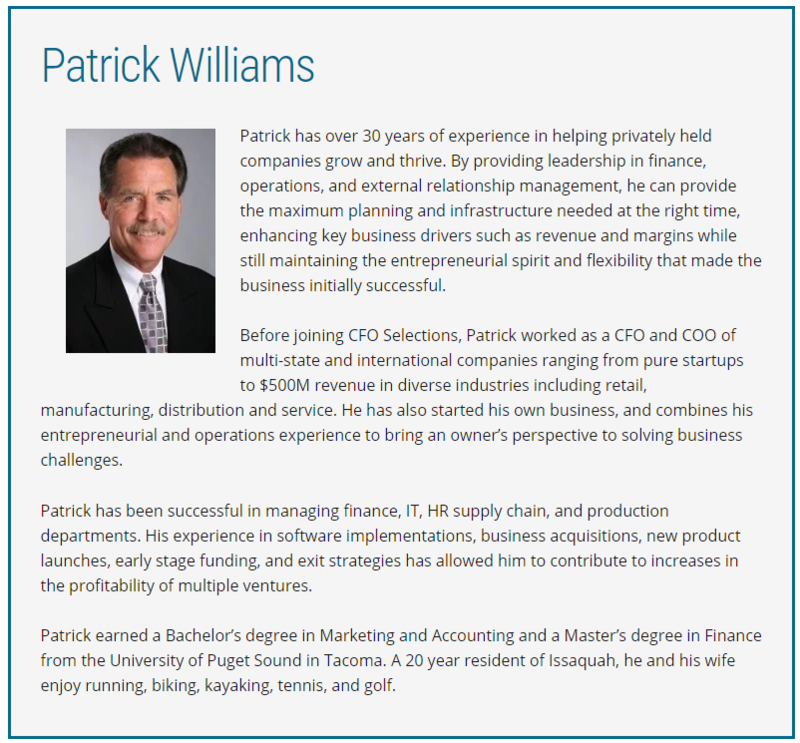 Patrick has been successful in managing finance, IT, HR supply chain, and production departments. His experience in software implementations, business acquisitions, new product launches, early stage funding, and exit strategies has allowed him to contribute to increases in the profitability of multiple ventures. Patrick earned a Bachelor’s degree in Marketing and Accounting and a Master’s degree in Finance from the University of Puget Sound in Tacoma. He also holds a CPA-Inactive license in the state of Washington. A 20 year resident of Issaquah, he and his wife enjoy running, biking, kayaking, tennis, and golf.